GCSA Studios | Dirty Bit- Special Guest Comic! So, Carter and I were talking about a spin off of Nasty Hack called Dirty Bit, which for all you pervs out there is actually a technical computer term. 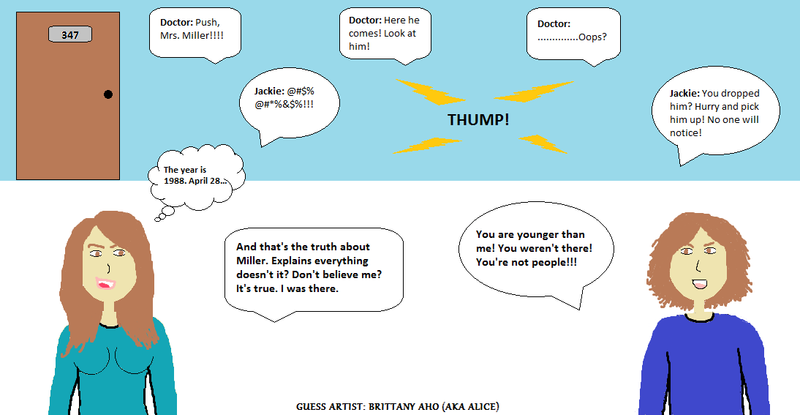 So, Britt took it upon herself to do a comic this Friday! Give her lots of praise cause it’s her first one! Any who, that got me thinking that all my wonderful guest artist will be Dirty Bit! Not to be confused with Dirty Britt which is an ongoing…adult movie, I’m in the works with. Anyways, enjoy this comic from the wonderfully talented Brittany! Hehe!! I’m all famous and stuff now! Well I for one think this is completely accurate. because it is. i was there. i saw everything.